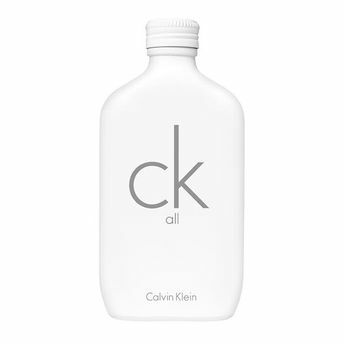 Calvin Klein introduces a unisex fragrance CK All.A scent that is an interpretation of the 'cultural wave' brought forth by the new generation, 'one that rejects societys assumptions, barriers and designations'. This new fragrance wants you to be you, free from constraints to express yourself with fluidity casting aside any identifying markers and labels.This refreshing composition is both fresh and warm, that opens with citrusy notes, followed by paradisone (flowery fragrance ingredient by Firmenich) and finished with the warmth of amber and musk.The new CK All has a simple slogan: ""Be One. Be All. Just Be." Explore the entire range of Perfumes (EDT & EDP) available on Nykaa. Shop more Calvin Klein products here.You can browse through the complete world of Calvin Klein Perfumes (EDT & EDP) .Alternatively, you can also find many more products from the Calvin Klein CK All Eau De Toilette range.